Offering premium apartments in the serene Northwest Hills of Austin. Upgraded, spacious floor plans & easy access to major thoroughfares provide students, families and those in need of an easy commute the ideal home. 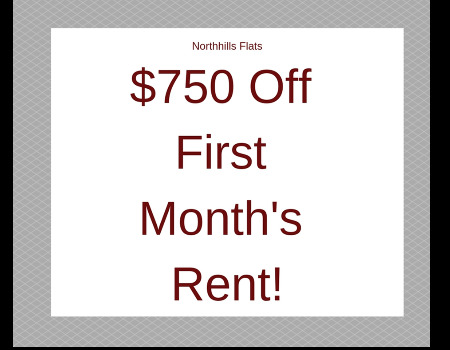 With the stop for the UT shuttle & Cap Metro bus directly out front and HEB & CVS next door, Northhills Flats apartments offers the ultimate in comfort & convenience.